This class is an energetic, flowing and dynamic style of yoga that allows beginners, intermediate and advanced students to be challenged and nurtured, all in the same class. Everyone is welcome but do expect to sweat! Our Power Flow classes are lots of fun and a great workout for every muscle and fibre in your body. At the end of class expect a soothing relaxation to really unwind. The more time you invest in this class, the greater the benefits will you realise….where you want to take your practice is up to you. Our gentle flow class retains the element of flowing from one posture to next only at a gentle relaxed pace. We spend some time in many of the postures to really feel the target areas of the stretch. This class combines both 'yin' postures targeting the connective tissues and 'yang' postures strengthening and lengthening the muscles. It's a great class for those new to the practice of yoga and those looking for a nourishing practice for their body. SUITABLE FOR: Beginners, those with injuries or those looking for something a little more restorative. Also suitable in pregnancy. 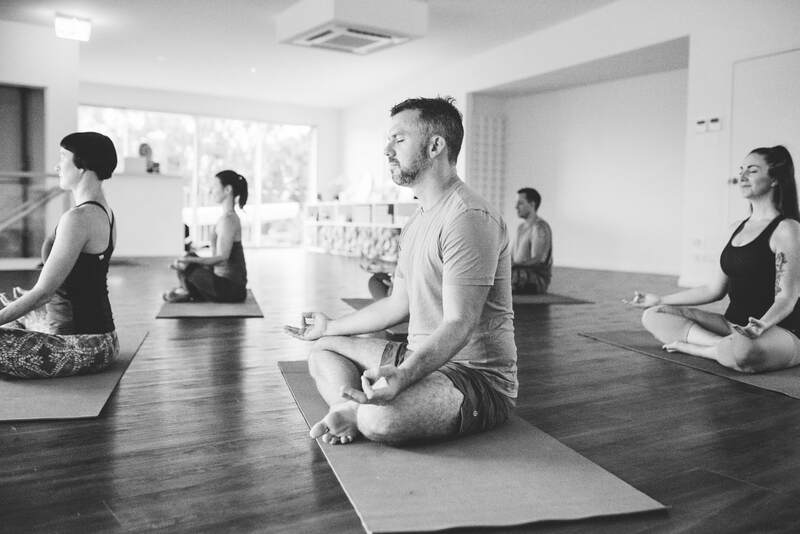 Yin Yoga is a gentle floor based practice that targets the connective tissue, such as the ligaments, bones and joints rather than the muscles which we actively engage in most other styles of yoga. In this practice we consciously soften and relax the muscles, holding the postures for up to 5 minutes, this helps to stretch into the connective tissue and release blockages in the body. Its a great practice to help balance out the more dynamic styles of yoga and a really active/busy lifestyle. SUITABLE FOR: Beginners, those with injuries or those looking for something a little more restorative. This slow and gentle class is designed to help the body rest and restore. In our common state of constant “doing”, restorative yoga gives us the perfect opportunity to slow down, restore and come back to our innate state of “being”. 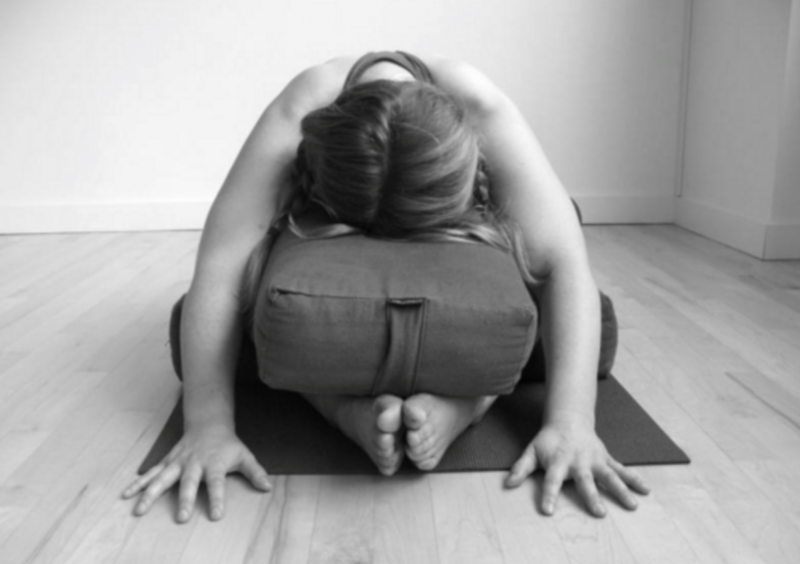 In slowing down through the use of supportive postures using props such as bolsters, blankets and blocks, our bodies and minds are given permission to rest and observe stillness, offering the chance for deep relaxation to occur. In this class you'll hold poses for up to 10+ minutes. This is a perfect accompaniment to the "yang" style classes like Power Flow to help the body and mind find balance. SUITABLE FOR: Anyone looking for something very restorative. 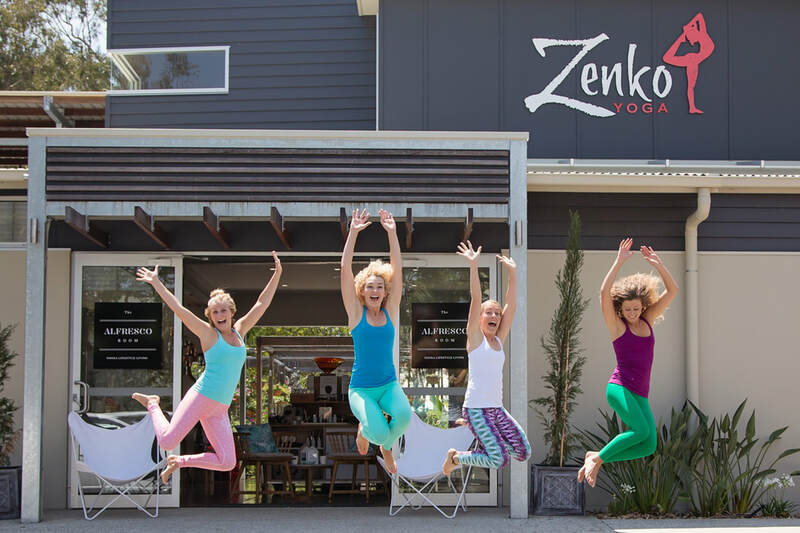 Did you know we have Community Yoga at Zenko Noosa and Zenko Buddina? Every Thursday at 4.30pm (Noosa) or 5pm (Buddina) we run a Community Class. This class is a $10 donation (FREE FOR MEMBERS) and open to anyone and everyone! Regardless of if you have a strong practice, or you've never set foot on a mat before. So if you know someone who needs yoga or is interested in giving it a go, encourage them to come along, we would love to see you there. Please note min age is 13yrs. Meditation is a process devised by yogis to improve concentration and quieten the mind. During this class you will learn and experience: Guided meditations & simple breathing techniques to help calm the mind; Tips on how to help stay in balance during the day and how to meditate at home; Classes are suitable for both complete beginners and regular meditators; Join in at anytime, even if you’ve not attended before. No booking required; No physical exercises, postures or special clothing are requiredClasses $10 or free for members. SUITABLE FOR: Anyone who wants to exploring the different meditation techniques and meditate in an open and supportive group.